I feel so incredibly happy today because today is a day we get to celebrate love! I made purple colored oatmeal for breakfast-- it had cherries in it. 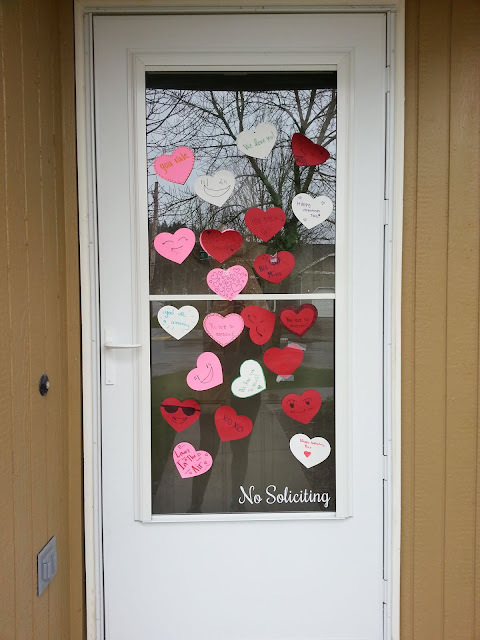 Then the boys and I bundled up and headed out to deliver Valentine's to the elderly ladies who live in our neighborhood. Those who were home were really glad to be remembered. Throughout the day we read books and sang songs that had to do with love. We ended the day with heart shaped pizza-- that's a family tradition that started when I was growing up. The Young Women left us some love notes and a plate of goodies. When brother comes to your rescue. So grateful for this little family of mine and the love we have for one another. Has it been two months already? I can hardly believe it! These past two months have flown by quickly. At two months old Bear's personality is starting to come out. This past week he started cooing and interacting with us. We've even heard him laugh a few times. Some of my friends wrote messages on a package of diapers for me. Love reading the messages! Bear is growing like a weed. 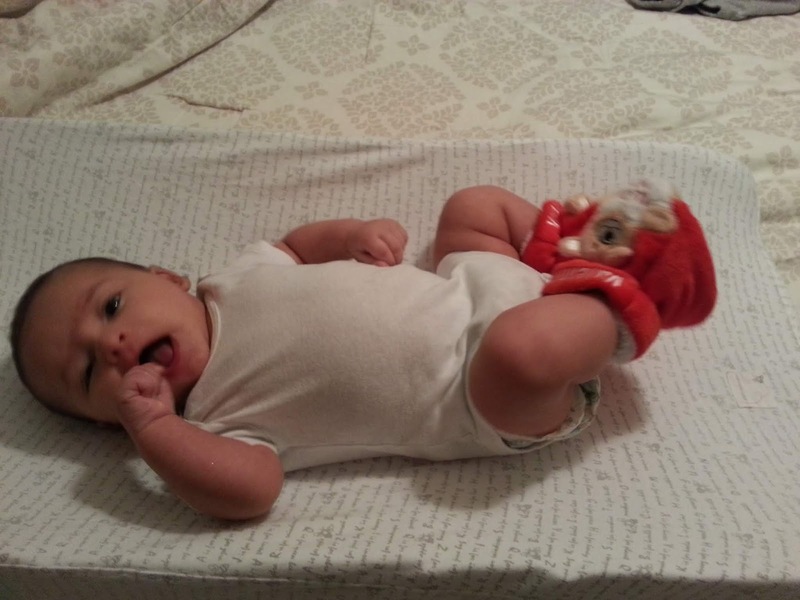 He is currently wearing size 2 diapers and is ready to move out of his 3 month clothes and into 3-6 month clothes. We aren't sure what his exact weight is but we do know he weighs over 12 pounds. He enjoys chewing on his fist. We have also caught Bear rolling onto his side a few times already. Uh oh! He will be rolling over before we know it. Bubba loves his little brother and goes running to his aid when he cries out. He will put the binky back in Bear's mouth, pat his head, help with diaper changes, he even tries to pick his brother up. He has recently tried driving his toy cars on Bear. When we read books together he points to all of the different cars and names them: Mommy, Daddy, Baby-- you can sure tell he loves his little brother. We love Bear too! Our family wouldn't be complete without him! We are so grateful he is a part of our little family! Bubba wanted his picture taken too! Several years ago when I was living in Utah, I received some handmade Valentine's in the mail from my Mom and my little sister. 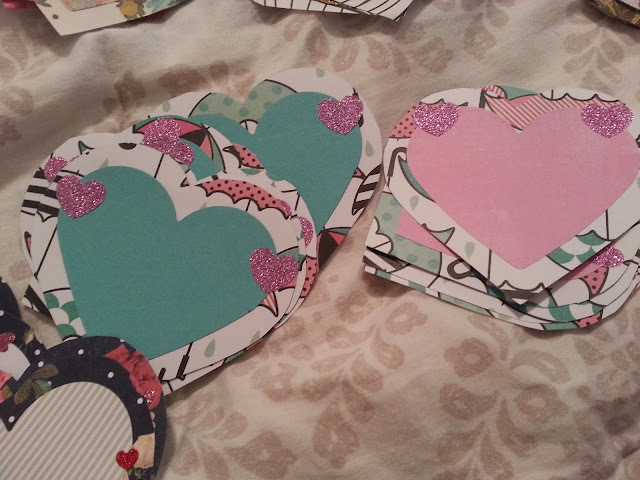 The two of them decided to make a bunch of Valentine's for some sort of non-profit group and they decided to send a few to me. I loved these Valentine's! I hung them up on the wall of my cubicle at work, so I would see them every single day and be reminded that I was loved. Fast forward a few years to 2018. 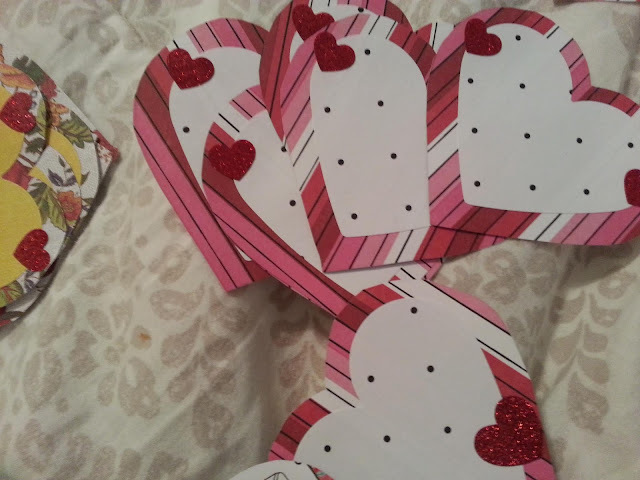 I made a bunch of Valentine's for Bubba and we mailed them out to some of the little kids in the extended family. I wanted to make Valentine's again this year for both of the boys to send out. I knew if I was going to do it that I had to start early. 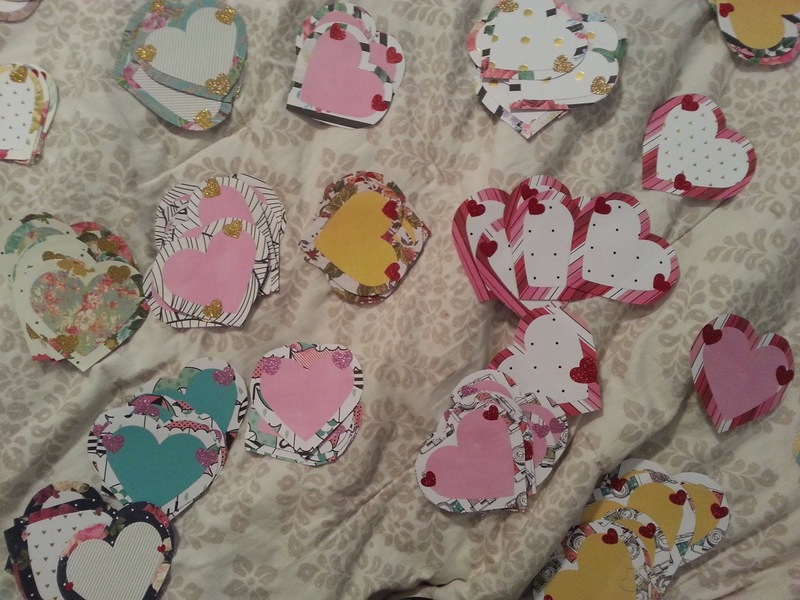 Back in September I started gathering my supplies and around Christmas I started making Valentine's. Initially I planned to just send them out to the kids again. And then I started feeling ambitious and decided to send them to all of Andy's extended family, my immediate family, some of our close friends and the elderly ladies in the neighborhood who live alone. 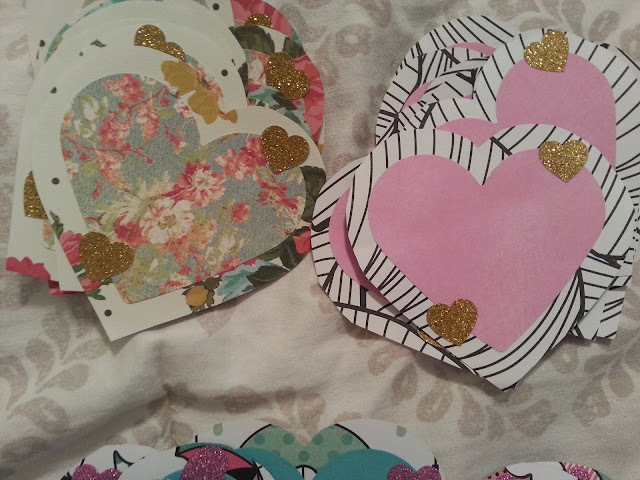 I made more Valentine's than I would like to admit. I wanted to show the important people in our lives that we care and they are loved, I hope we accomplished that. Bubba helped me stuff the envelopes and he tried to eat the glue stick on more than one occasion. Maybe next year he will be big enough that he can help me some more. He loved putting Valentine's in the mailbox with me and would say, "Mail" each time we would go drop them off. 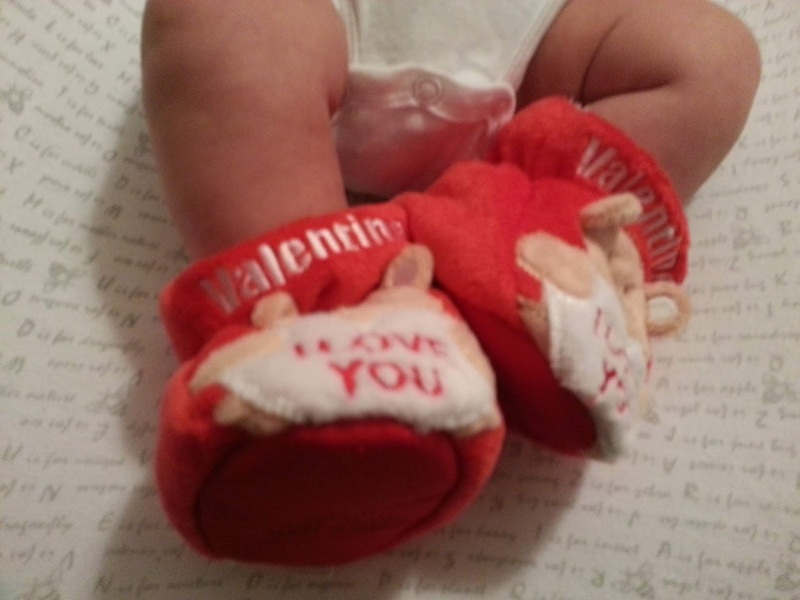 Two people sent Bubba and Bear Valentine's in return. Bubba was so excited! He loved getting mail! (He's been known to cry when there isn't any mail in the mailbox). 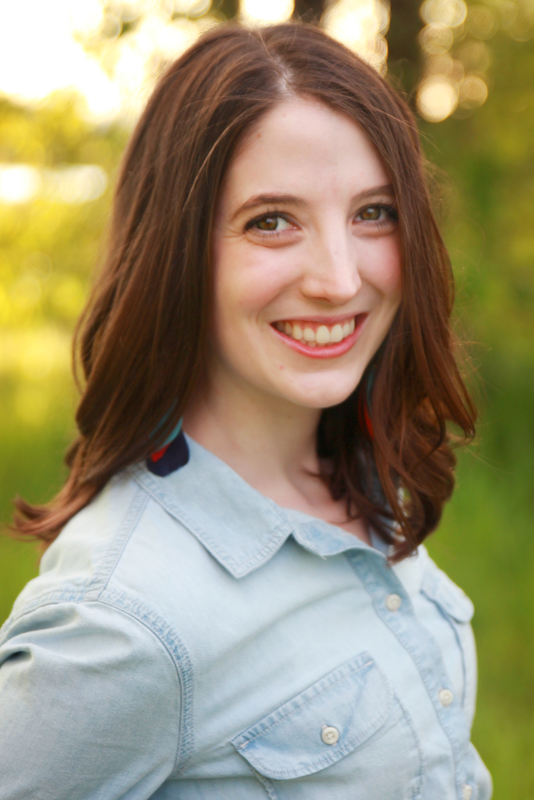 Postpartum Depression brings with it a variety of emotions and a lot of tears. The other day I told Andy how grateful I am to those who have served and reached out to our little family. I have felt so incredibly loved that it brings me to tears-- I'm not normally someone who cries. Words can't express the gratitude I feel. 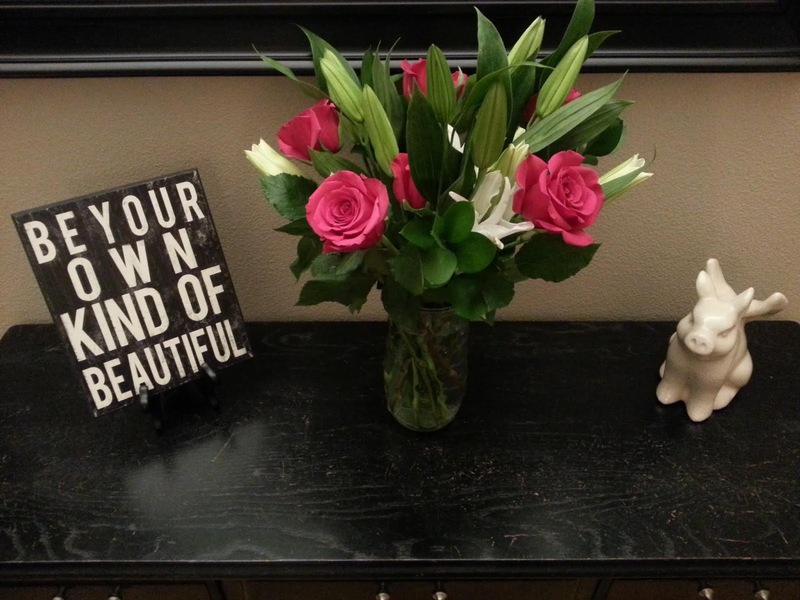 I feel truly blessed to be surrounded by such kind and loving people. Friends, neighbors, family and strangers alike have reached out to us. Meals have been brought in, flowers delivered, toys have been dropped off for Bubba, and baby gifts have been left for Bear. Our laundry has been folded, our dishes have been washed, our bedding cleaned. Care packages have been left for me and gift cards given to Andy. Text messages, phone calls and visits have been greatly appreciated. To those who have held or played with my children so I can sleep, that has been amazing! A neighbor brought by the most beautiful flowers. They say it takes a village to raise a child, I'm convinced that it takes a village to help a mama overcome her Postpartum Depression. I'm not out of the woods yet, but I'm working on it. Your good deed don't go unnoticed, they mean so much to us! It is hard to believe that you joined our family a month ago. The days are long and the nights are short. The past month has been sort of a blur. Between the sleep deprivation and Postpartum Depression, I guess you could say the past month has been an adventure. You have grown so much in the past month Bear. You went from 8 pounds and 13 ounces to over 10 pounds. Your a pretty chill baby unless you have a burp or a dirty diaper. You are just like your big brother was at this age. As soon as you poop or pee your diaper you want it changed. We go through about 15 diapers a day with you at the moment. Sleep at night has been hit and miss. Some nights you go down for bed early and other nights you go down later. The longest stretch of sleep you've had is 6 1/2 hours. The kicker though is when you wake up and insist on being up for two hours in the middle of the night, those are the nights we dread. You love laying on your changing pad and looking up at the ceiling fan and kicking your legs. I love it when you smile and Daddy loves the horse noises you make. And your big brother, he loves to help change your diaper. Every time you cry out he says, "Baby!" and comes running to your aid. We are so glad you are a part of our little family, Bear! We look forward to watching you learn and grow. We can't wait to start taking you on adventures with us! My friend Peyton was super kind and threw me/Bear a baby shower. I'm so grateful to Peyton for throwing us a shower! You don't realize how much stuff you need for a baby until you have one, in this case another baby. Diapers and wipes are always in demand. I feel so much love for each of the women who came to the shower. Thank you for showering us with love! Just writing the title of this post has brought me to tears. In case you haven't figured it out yet, I have Postpartum Depression. I was officially diagnosed with PD on Monday December 31st. Admitting that I have a problem and need help has been humbling, humiliating and embarrassing. Every time I think about it or tell someone I have PD the tears just flow. I think it is safe to say I am ashamed by my struggle. I have never dealt with something like this before and it has been difficult to navigate what is now my everyday reality. The symptoms weren't very noticeable at first, but they came on really strong towards the end of last week. Andy left to go back to work for the first time and I had three rounds of tears in the first hour. Then came the feelings of guilt for not being able to function and do the things I am used to doing. Then came guilt for other things I felt I wasn't doing good enough. I started being really hard on myself. My appetite has all but disappeared. And I am having a really hard time sleeping, I feel like an insomniac. When I found myself sobbing for no reason at all I knew it wasn't good. I reached out to my friends, neighbors, doctors and church community for help. Each day is a struggle, but I know that things will get better.